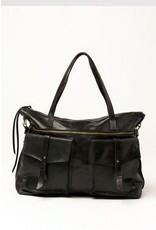 A super, versatile bag that will go from the office to the airport to your favorite beach get-a-way in Ibiza. 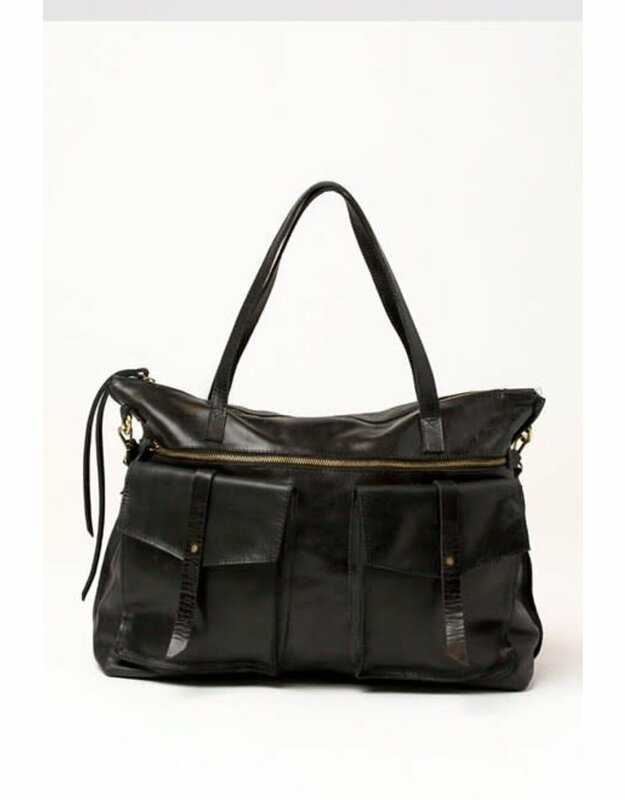 Crafted with vegetable tanned leather, which is easy on the environment. Roomy, with lots of zippers and storage options. Two handsome front pockets for stuff you need to grab in a jiffy. In black, rich brown tobacco or slate. This garment was handcrafted using vegetable tanned leather and might have slight variations. Your purchase helps empower artisan women by providing fair trade jobs that protect women vulnerable to labor trafficking.